Woodbridge Locksmith is a reliable local locksmith service provider offering outstanding services for homes and businesses in the Woodbridge, ON community. One of our specialties is mailbox locks replacement service. Many locations utilize mailboxes that are locked for security purposes. This is very common in apartment buildings, gated communities, and other residential complexes. Each mailbox is assigned to a particular resident who is responsible for obtaining and caring for the key. When a resident moves out the owner or local management is responsible for the replacement of mailbox locks to ensure security for the next tenant. Some larger communities may have a maintenance person responsible for this function. However, there are many locations that do not. Our highly trained professionals carry replacement locks on our truck and can easily change out the lock in no time flat. At Locksmith Woodbridge we provide services that make the process easier on the customers we serve. Our affordable rates, quick service, and professional results make us the perfect company to provide effective mailbox locks replacement for our customers in Woodbridge, ON. Our unit will respond at the convenience of our customer to change out mailbox locks. We can change out one lock or as many as need to be changed. No job is too small for us. If the job is important to our customer it is important to us. Replacing mailbox locks is only one of the great services we offer at Woodbridge Locksmith. We also provide standard lock replacement, lock repair, locks installation and much more. 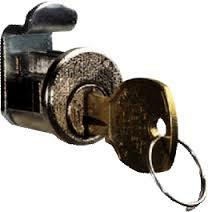 Our experts will also provide the replacement of keys; lockout service and lock rekey service as needed. 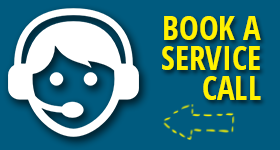 We offer a wide assortment of services for the Woodbridge community. If you need mailbox locks replacement service, or one of the many outstanding locksmith services we offer, give us a call today and we will be there to provide the service you need.